KIGALI, RWANDA | Why are we in Rwanda? What makes it a unique place to learn about health policy, and health care delivery? What will we learn that can make us smarter as we address health issues back at home? I thought through these questions on the flight to Rwanda, and I had plenty of time. It’s been a long series of flights—Aspen to Denver to Chicago to New York to Amsterdam to Kigali. But the real journey began today as we saw our first health facilities. Today (Monday), the delegation piled into a Land Rover after breakfast for the 2.5 hour drive to our first stop: the Partners in Health (PIH) headquarters at Rwinkwavu. We toured the Rwinkwavu District Hospital & Health Center, which was funded in part by the Rwandan government, PIH, and Bill & Melinda Gates. Formally, I’m here as the Chairman of Hope Through Healing Hands, the global health nonprofit I founded. Having been both a surgeon and a public servant, I am convinced that health and medicine are the best currency for peace and healing worldwide. I started Hope Through Healing Hands to put that belief into action. It’s a vision that is shared by Dr. Paul Farmer, PIH’s founder and director. 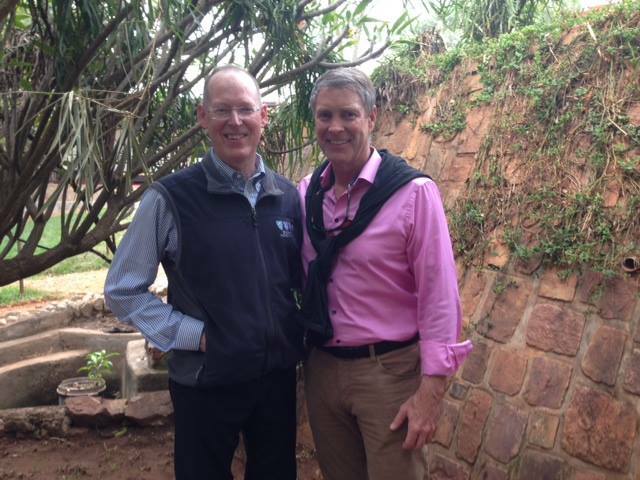 Paul has been a friend and like-minded champion for global health for years. He has always had the vision to see things that others could not, the audacity to dream big, and the commitment, dedication, hard work to make his visions–whether a nursing school, hospital, outpatient clinic, or even an entire medical school–a reality. 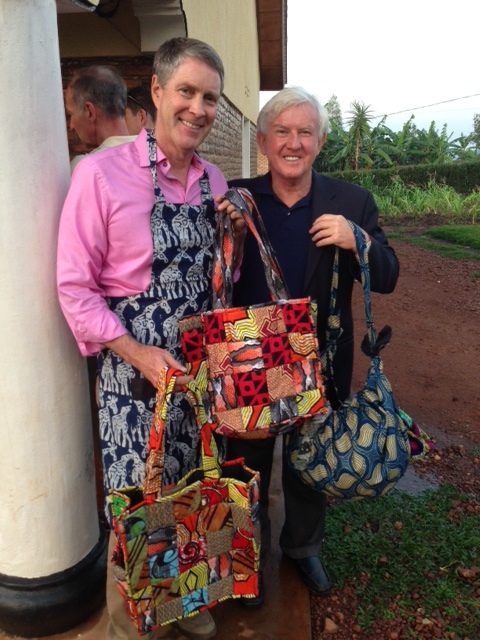 It’s an honor to tour Rwanda with him, and see the progress being made. When I was last in Rwanda, in the summer of 2008, I was impressed to see how diligently international funds were used (in that case, PEPFAR funding focused on HIV, malaria, and tuberculosis care and prevention). I said then, I wish all Americans could join our delegation to see how wisely their contributions have been spent, and with accountability. I have seen the same today in the Rwinkwavu District Hospital. When Rwinkwavu District Hospital first opened, Paul planted several trees there on the property. Standing in their shade today, they are a visual reminder of the growth and progress that PIH—and Rwanda as a whole—has made. With Paul Farmer under the trees he planted. 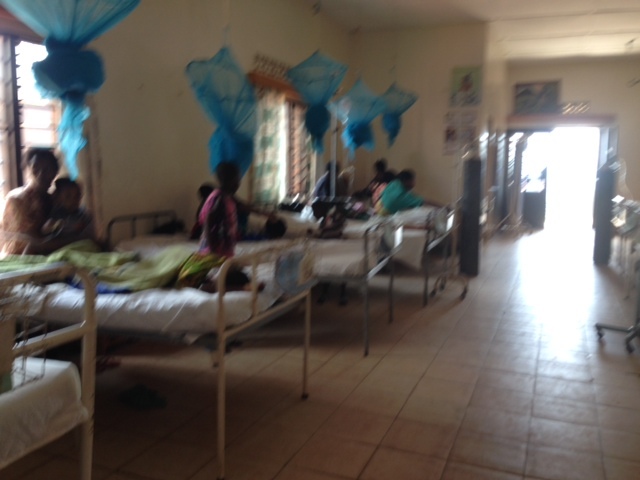 The district hospital is in Southern Kayonza District, one of three that PIH serves. The 110-bed Rwinkwavu District Hospital and its eight health centers are in remote, rural area, and yet it is delivering care to the poor with both compassion and excellent science. The highlight of my day was meeting the young researchers at Rwinkwavu who were learning how to conduct sophisticated clinical studies that are and will continue to be published in peer-reviewed journals. They are pushing medicine forward not only in their hospital, but globally as well! Increasingly the hospitals in Rwanda are seeing surgical disease including cancer. For so many years, the African continent has concentrated on infectious diseases. Now that most of those are under control, the most dramatic emergence is of chronic disease of the heart and lung. In addition, there is a huge need for trauma treatment centers, which are generally nonexistent. While the medicine being done compels the surgeon in me, from a global health perspective, the most exciting thing about PIH’s work in Rwanda is that it truly is being taken up by the Rwandan people. 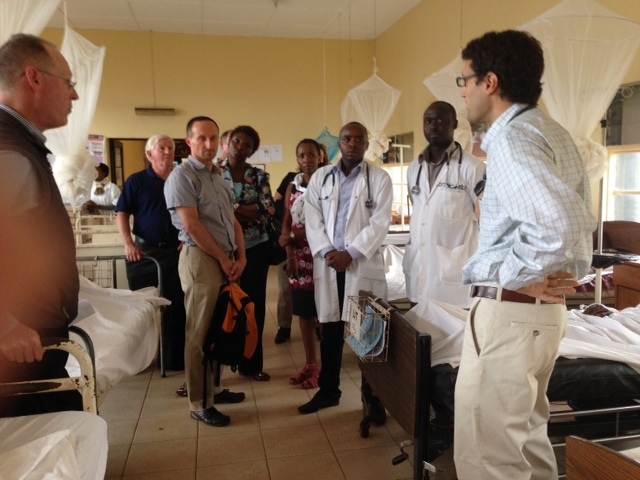 Initially, PIH was a health care provider in these hospitals and health centers. But increasingly, PIH has transitioned into more of an advisory role. 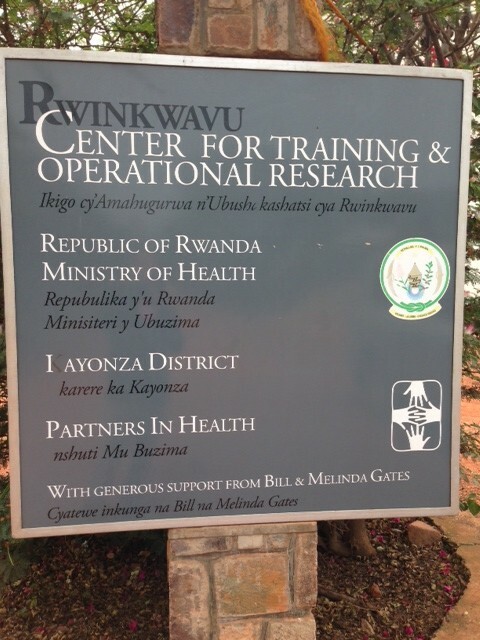 PIH now supports the Rwandan government in providing services to more than 865,000 people at Rwinkwavu District Hospital and two other hospitals and 41 health centers, with the help of 4,500 community health workers. At dinner I had the opportunity to sit beside Dr. Agnes Binagwaho, Rwanda’s Minister of Health. Dr. Binagwaho and I have met several times on my previous trips. She’s been championing public health in Africa since 1994. Tonight she, I, and David Vreeland, discussed the role of information technology in healthcare and the transformation it promises. Rwanda has made outstanding progress implementing health IT to support clinical decision making–a challenge we struggle with in the US as well. This is the power of global health diplomacy—empowering a community to achieve health, healing, and peace, and seeing incredible gains for the entire global community. Tomorrow we head North to another province, another hospital, and a cancer center of excellence. I’m excited to see what we learn there. This entry was posted in Global Health, News, News - Global Health. Bookmark the permalink.